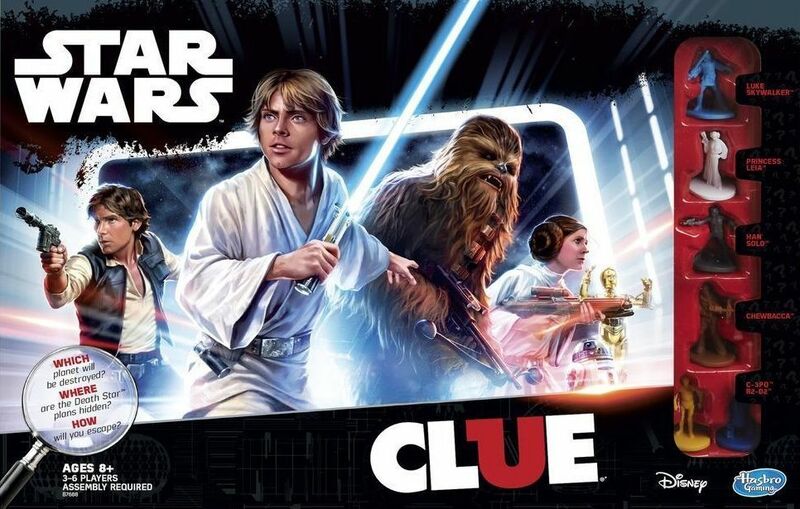 As you might expect from the title, Clue: Star Wars transports the gameplay of Clue to the world of Star Wars. In the game, it's a period of civil war, and players have managed to sneak onto the Empire's ultimate weapon — the Death Star! Be the first player to find out which planet Darth Vader plans to destroy next, in which room the Death Star plans are hidden, and which vehicle is the correct escape vehicle. The cards revealing the correct planet, room, and vehicle are placed in the mission folder at the beginning of the game so that no one sees what these are until the end of the game. The player who correctly identifies what's in the folder wins!